Sapota is a tropical fruit, belonging to the Sapotaceae family. Its scientific name is Manilkara zapota and it is native to Mexico, Central America and the Caribbean. The other names of sapota are Chicku, lamoot, noseberry and sapoti. 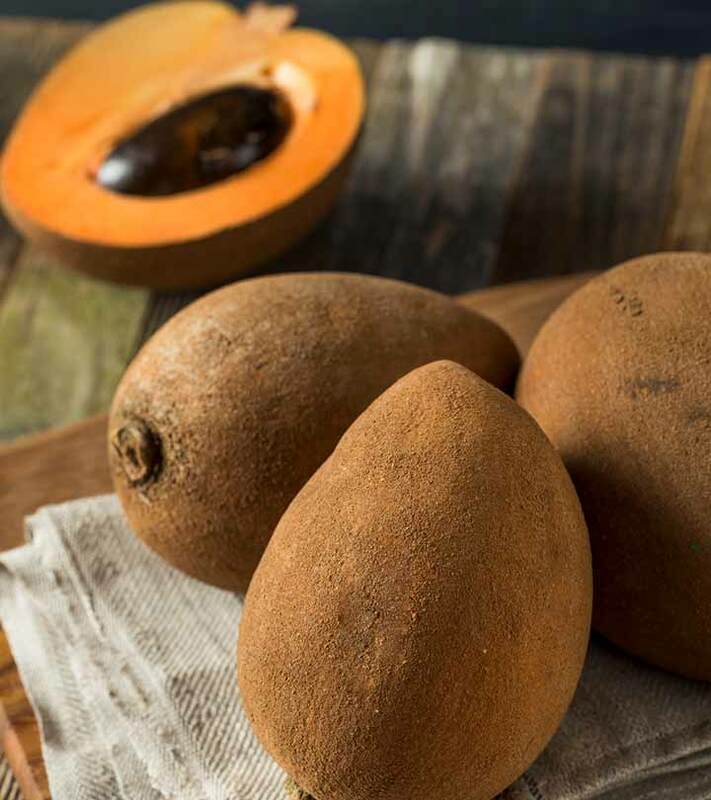 Sapota fruit has a grainy texture and a light musky flavor. Cut the fruit into two halves and scoop the flesh out to make a refreshing juice. The juice should be enjoyed without any additions to relish its unique flavor. Regular consumption of sapota juice provides essential nutrients required for maintaining healthy hair. It makes the hair smooth and soft, making it more manageable. Vitamin C in sapota juice fights the bacteria on the scalp and soothes the skin to ward off dandruff. This helps to get rid of the follicles debris and accelerate hair growth. 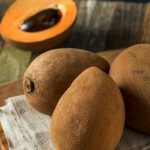 Sapota juice is very useful for reversing Adrenal gland fatigue. This maintains proper hormone balance, thereby, encouraging hair growth. Sapota juice improves blood circulation and repairs capillaries to get thick and strong hair. It retains the natural color by preventing premature graying of hair. Thus, drink sapota juice every morning to get shiny and lustrous hair. Sapota juice contains nutrients like vitamin C, vitamin A and several minerals, which help to enhance the natural texture and complexion of the skin. Vitamin A and C in sapota juice moisturizes the skin and prevents dry and flaky skin. It is required for the production of collagen which firms and tones the skin. 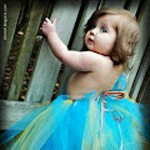 It also promotes elasticity and creates ligament for quick recovery. The antioxidants in sapota juice eradicate free radicals from the body, delaying the ageing process. Thus, consuming sapota juice will prevent the formation of wrinkles, fine lines, and other signs of ageing. Sapota juice protects the skin from the damaging effects of the sun and pollutants. It reduces sunburn caused by constant exposure to the UV rays and prevents skin cancer. Apply sapota juice topically on the skin to lighten skin discoloration, acne scars and freckles. With so many proclaimed benefits of sapota juice, we’re sure you’re you will include it in your diet! Hope you liked the article. Don’t forget to leave your comments below.